Fikadu Hailu had spent his entire life in the Yaso district of Benishangul Gumuz Region, in western Ethiopia, along with his wife and nine children. A farmer by trade, the 60-year-old cultivated maize and sorghum on his five hectares of farmland to keep his large family clothed and fed. The work was not easy but Hailu and his family were content. In September of 2018, sudden ethnic violence broke out in the area. Hailu was forced to flee with his family to a neighboring district, Haro Limu, in Oromia Region. "My two younger brothers were killed during the violence," said Hailu. "Our farm with standing crops, including our house, was burned down. We are left with nothing." The violence left many dead and dozens injured. The ones who escaped left everything behind. They made it to relative safety with just the clothes on their backs. Hailu's family is among the around 8,000 internally displaced families, who finding themselves displaced from Yaso, now live in the Haro Limu district. 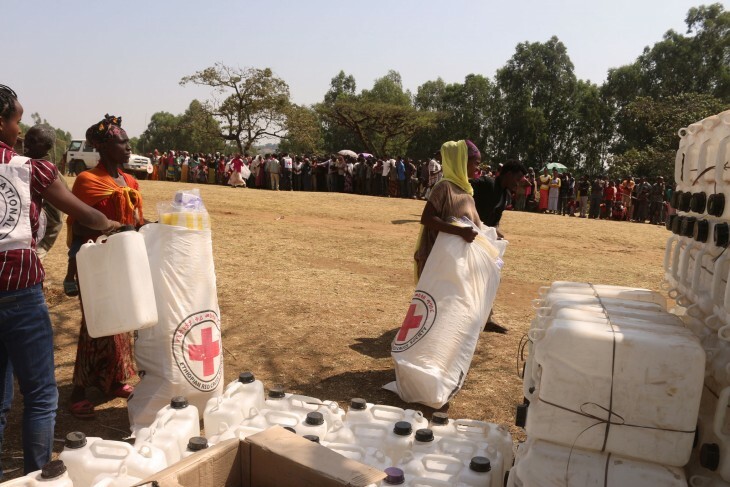 In response to this situation, the ICRC, together with the Ethiopian Red Cross Society, has begun providing emergency assistance to the displaced people. We have already conducted several rounds of distribution of essential aid – between December 2018 and mid-February 2019. We distributed plastic sheds, blankets, mats, jerry cans, cooking utensils and soaps to 5,541 families sheltered in different sites of Haro Limu district. According to Tagash Zemedagegnehu of the ICRC, who is in charge of facilitating the distribution, more than 33,000 displaced family members have benefited from the assistance. It took Fikadu Eresa and his seven-member family three days to reach Haro Limu town on foot. "We braved the oppressive heat during the daytime and the freezing cold at nights to arrive here," the 57-year-old said. "After our arrival, we slept on carpets of leaves in open fields with nothing but a few clothes to protect us. The things we were provided with today will help us to begin our lives again. Harper Mekonnen, a mother of six children and one of the recipients of the assistance, is grateful for the items provided. "We got a plastic shed, which protects us from the heat and blankets that keep my children warm during the cold nights," she said. 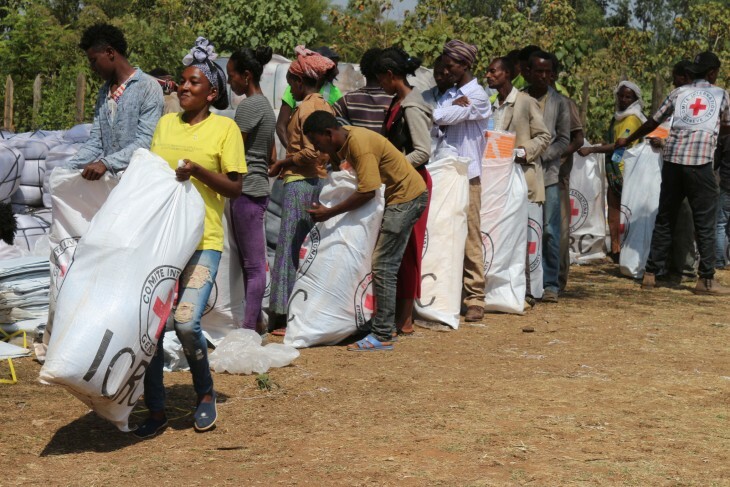 In Ethiopia, the ICRC, through its economic security programs, provides essential goods and livelihood support to people displaced due to ethnic conflicts, with the objective of protecting lives and restoring livelihoods.